Despite the peaks and troughs of the Philippine athletics scene, Filipino women have competed with distinction in the long jump for more than two decades. 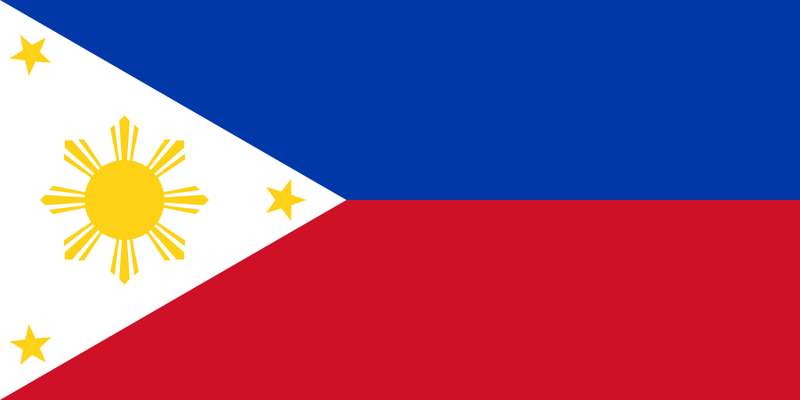 Since Elma Muros-Posadas’ maiden long jump win in the 1989 edition of the Southeast Asian Games, the Philippines had fallen short of the title only once. 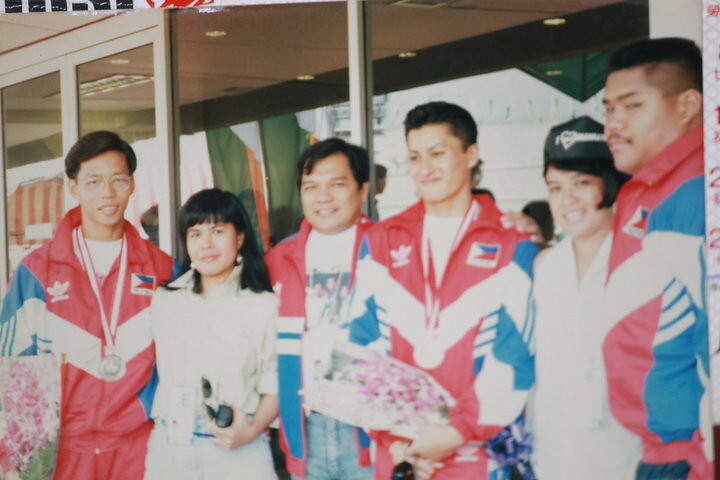 The last Filipino to win an Asian Games medal was the evergreen Muros-Posadas in 1994. Marestella Torres‘ emphatic win at the 2009 Asian Championships was the most high-profile achievement of a Filipino track & field in recent memory. Katherine Kay Santos is poised to become the next best Filipino long jumper. The Baguio-based Santos is currently fifth in the Women’s Long Jump All-Time List (compiled by Andrew Pirie). She has a personal best of 6.25m, which she set en route to winning the 2011 Southeast Asian Games bronze medal. Illustrious names like Torres (6.71m), Muros-Posadas (6.56m), Lerma Bulauitan-Gabito (6.56m), and Lydia De Vega-Mercado (6.27m) are all ahead of Kat in the all-time list. Santos is gifted with both raw flat out speed, having won several medals in national-level competition, and good jumping technique. The 22-year old is on the brink of barging into the big leagues. Although it’s a tad too early to say that she’s Torres’ heir apparent, the statistics show that the University of Baguio student is the Philippines’ second-best long jumper. Kat is actually a protege of Bulauitan-Gabito, herself a SEA Games gold medalist and an Olympian. As she gains experience from regular exposure in the regional athletics circuit, it will only be a matter of time before Kat Santos makes her mark. 1. How did you get started with athletics? When I was in 5th grade I wanted… to be part of the athletes in our school. But eventually the coach in our school hesitated to choose me. I didn’t know why [she did that]. But in [the] 6th grade I [pushed] myself to join [the] try outs. I proved that I can be one of them [the varsity athletes] and [the coach eventually] chose me. 2. What’s the most memorable moment of your track career? Most memorable? Of course the 2011 SEA Games in Indonesia. Maybe because it was my first time to compete in [the] SEA Games. [I had] mixed emotions.. (; In my 1st attempt to jump I was really shaking. Suppeeeeer­rr. Hehe. 3. What’s your life-long dream? To be an Olympian. ‘Diba? Sarap ng pakiramdam maging part man lang ng Olympics [It’s a great feeling to become part of the Olympics]. 4. Name three other sports you’d love to do aside from athletics? The 1st is synchronized swimming. I love watching it. [And also] sports climbing [and] sumo haha joke! The last is biking [cycling]. 5. Who is your sporting idol? My idol is DARYA KLISHINA. Ganda na [She’s beautiful], [a] model, and magaling pa [Darya excels] in our same event which is [the] long jump. 6. What do you when you are not on the track competing or training? At home doing household chores, kulitan [playing] with my bunsong kapatid [youngest sibling] and my cousins na nakatira sa house namin [who live in our house], or sleep until noon… para makabawi sa pagod ng training [to recover from the exhaustion brought about by training]. 7. What is your favorite pre-race pump-song? Kahit ano lang [Anything]. Haha. Usually mga new ones na song [I usually listen to the new songs]… yung mga nauuso [the ones that are popular]! Gangnam Style. Haha lately yun! 8. Do you have a pre-competition ritual? I just watch my diet mga [around] 2-3 weeks before the competition para magaan sa laro [so that I’ll feel light during the competition]. Kasi [Because] during preparation for such competition nagloload ako, so mabigat ako kapag sa [I bulk up in] training para makabuhat ng [to be able to lift the] target pounds pag nag weweigths training ako [in my training program]. 9. Describe your dream vacation. 10. Name three things you can’t live without. Athletics competition is simple. The athletes who run the fastest, throw the farthest, and leap the highest (and longest) win. The victors are determined by the stopwatch and the measuring tape; their triumphant efforts immortalized in the annals of history. Back in my college athletics days, I found inspiration in the feats of past Olympic champions. In the subsequent years, I consumed as much Olympic- and athletics-related material as possible. I’ve written quite a lot of articles about those champions from foreign lands, but when it came to my countrymen, I knew next to nothing. One can argue that most of the past Filipino Olympic performances in athletics are forgettable. Track & field only takes centerstage every four years, so who remembers those who came in, say, 49th place? Hence, I’ve compiled a list of all Filipino track & field Olympians since the 1924 Amsterdam Olympics, the first time our country took part in the quadrennial event. To be an Olympian is an achievement in itself. And I’m quite certain that statistical results and overall rankings are inadequate measures of one’s struggle just to be able to compete at the world’s highest stage. I hope that this list would prod other Filipinos to read up on our past sporting champions – to look beyond the numbers – since each and every name in this list has a unique story. This is my small contribution in honoring their efforts for Flag and Country. Note: This is still a work in progress. Please message me for corrections. The PSC is converting the historic Rizal Memorial Track & Field Stadium for football use. The news of the tie-up with DLSU came out months ago, so I was not really surprised at the turn of events. From what I heard from people, the field will no longer be used for the throwing and jumping events. The 8-lane track would temporarily be closed to the national team athletes and the general public to make way for the renovation. There are conflicting views on the issue. Apparently, the long-standing feud between the Philippine Sports Commission and the Philippine Olympic Committee plays a central part. Note: Another issue in question is the proposed commercial complex beneath the bleachers. Since Rizal is an art deco gem, new additions to the stadium’s original design naturally goes against its general architectural theme. As a track & field man who traces his roots in this once grand stadium, I’m engulfed by a certain sense of sadness. After all, I ran my first ever sprinting and hurdle races in Rizal. The most memorable moments of my young life took place in that very stadium. Built for the 1934 Far Eastern Championship Games (now the Asian Games), Rizal, as its habitues simply call it, has hosted all of the major international events held in the Philippines, the most recent of which is the 2005 Manila SEA Games. Years ago, while reading about the exploits of the 1932 Olympic High Jump Bronze Medallist, Simeon Toribio, the stadium was the constant milieu, the ever-present backdrop of Toribio’s inspiring life story. Philippine track & field greats like Lydia de Vega, Elma Muros-Posadas and Isidro del Prado competed with distinction on the 70-year old track. Blurry photographs of yore evoke feelings of nostalgia for a time long lost. Jampacked Rizal. Sea Games 2005. Despite the disrepair, the leaking roof and the relatively cramped confines, Rizal is a stadium us Filipinos can be proud of. Rizal has nurtured generations of Filipino athletes – Filipino track & field athletes. For those athletes, myself included, Rizal is more than just a training facility or a place of competition – it is something akin to a home away from home. The conversion of Rizal into a football-specific stadium would temporarily displace the multitude of young track & field athletes based in Manila, in light of the capital’s lack of athletics facilities. The jumpers and throwers would suffer in the long run. It’s unfortunate to think that the Philippines’ ace long jumpers, Henry Dagmil and Marestella Torres, would lose their home track. Dagmil, the current national record holder at 7.99m, broke Nino Ramirez’s 75-year old long jump record at the National Open held in Rizal in 2003. 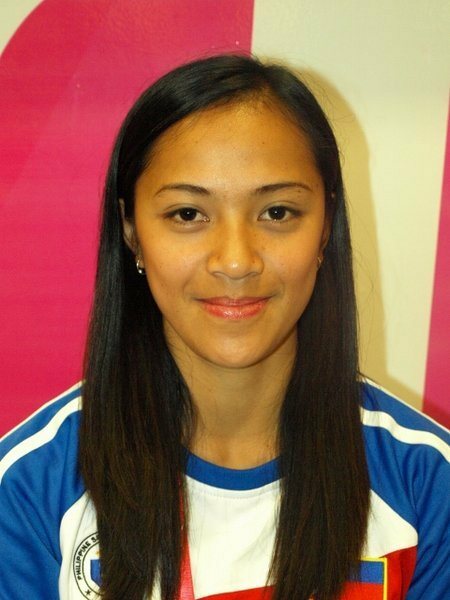 Both Dagmil and Torres scored a long jump double for the Philippines in Rizal, during the 2005 Manila SEA Games. Likewise, many time SEA Games Hammer Throw Gold medallist, Arniel Ferrera, would have to shift training bases to either Baguio or Ultra. However, throwing in the cramped confines of Philsports poses some sort danger to the multitude of joggers who frequent the Pasig oval. More importantly, the current crop of youngsters would bear the most sacrifice. Public school students who flock to Rizal during the PATAFA weekly relays would have to make do with the substandard jumping pit in Ultra. The elementary and high school students from populous Manila would have to bear the brunt of extra travel time as well. I have no arguments against the PSC’s goal of promoting the beautiful game. But please, don’t accomplish the latter at the expense of track & field. Manila only has three synthetic tracks open to public use* – Marikina Stadium, Philsports, and Rizal. Marikina has an abominable asphalt bike lane at the inner lanes while Philsports has a shorter-than-usual 110m starting line, certain uneven areas on the track and a badly-maintained jumping pit. Of the three, only Rizal barely meets international track & field standards. I’m not espousing a black and white, all-or-nothing approach. Football is a fine sport where Filipinos once reigned supreme in the Asian ranks. I’d love to see the next Paulino Alcantara strut his football wares on the world stage. But then again, one cannot disregard the fact that our track & field squad has contributed its fair share to national glory. In light of our country’s shoestring sports budget, a win-win situation between should be reached. Consider the example of Berlin’s 1936 Olympic Stadium. It underwent renovation a few years back. The centerpiece of Hitler’s Olympics hosted the 2006 World Cup for football and the 2009 World Championships for track & field. It currently serves as the home stadium of a Bundesliga squad and as a venue for various track & field meets. The Philippine Olympic Committee has opposed the PSC’s renovation plans, according to this Inquirer article. I’ll be eagerly anticipating updates on this issue. Let’s just hope our bickering officials resolve their differences and work towards the betterment of Philippine sports. For now, unless the Philsports/Ultra Oval’s sub-standard facilities undergo a face lift or an entirely new track stadium is constructed, Filipino track athletes – especially those competing in the field events – will be left marginalized and homeless. * – The newly-constructed University of Makati Oval is for the exclusive use of UMak students only, except for a short two-hour window each morning.